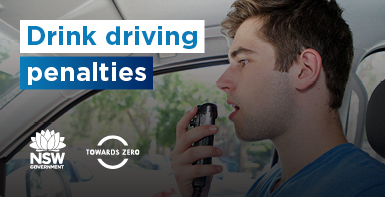 Stronger penalties for drink driving in effect from 3 December 2018. Are you fit and healthy enough to drive? How we can help you if you're affected by a natural disaster. Alternative photo ID for people who don't have a licence, or wish to have an additional form of photo identification. Helping you stay safe and independent on the road. What you need to know if you're visiting, or moving to NSW.